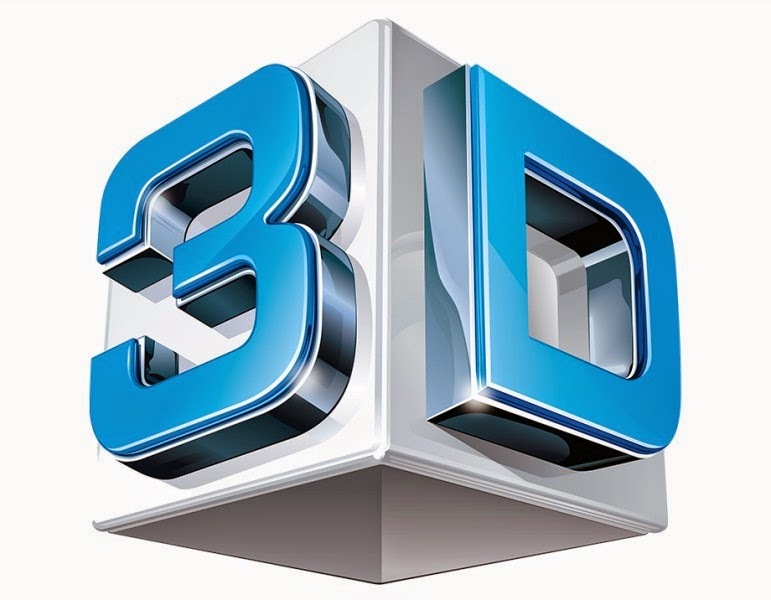 Home » Tech » What is 3D Printing ? 3D printing or additive manufacturing (AM) is any of various processes for making a three-dimensional object of almost any shape from a 3D model or other electronic data source primarily through additive processes in which successive layers of material are laid down under computer control.A 3D printer is a type of industrial robot. Early AM equipment and materials were developed in the 1980s. They were expensive and most required special handling. The names 3D printing and additive manufacturing did not yet have currency as umbrella terms for the field; each AM technology usually went by its own name. In 1984, Chuck Hull of 3D Systems Corp, invented a process known as stereolithography employing UV lasers to cure photopolymers. Hull also developed the STL file format widely accepted by 3D printing software, as well as the digital slicing and infill strategies common to many processes today. Also during the 1980s, the metal-sintering forms of AM were being developed (such as selective laser sintering and direct metal laser sintering), although they were not yet called 3D printing or AM at the time. In 1990, the plastic extrusion technology most widely associated with the term "3D printing" was commercialized by Stratasys under the name fused deposition modeling (FDM). In 1995, Z Corporation commercialized an MIT-developed additive process under the trademark 3D printing (3DP), referring to a proprietary process inkjet deposition of liquid binder on powder. The term was later applied more loosely to distinct but related inkjet material deposition or drop-on-drop technologies. AM technologies found applications starting in the 1980s in product development, data visualization, rapid prototyping, and specialized manufacturing. Their expansion into production (job production, mass production, and distributed manufacturing) has been under development in the decades since. Industrial production roles within the metalworking industries achieved significant scale for the first time in the early 2010s. Since the start of the 21st century there has been a large growth in the sales of AM machines, and their price has dropped substantially.According to Wohlers Associates, a consultancy, the market for 3D printers and services was worth $2.2 billion worldwide in 2012, up 29% from 2011. Applications are many, including architecture, construction (AEC), industrial design, automotive, aerospace, military, engineering, dental and medical industries, biotech (human tissue replacement), fashion, footwear, jewelry, eyewear, education, geographic information systems, food, and many other fields. In metalworking, AM found natural contrast with CNC machining because material is added or joined, rather than removed, as the tool or printing head moves automatically through the space defined by the model. The contrast inspired a retronym, subtractive manufacturing, as a logical shorthand to complement AM. Starting in the 2010s, machine tool builders have developed machines incorporating both subtractive and additive manufacturing in one work envelope.Laminated object manufacturing (LOM) (c.1990) and some drop-on-drop processes (c.2006) also incorporate "subtractive" cutting or milling operations. In 2005, a rapidly expanding hobbyist and home-use market was established with the inauguration of the open-source RepRap and Fab@Home projects. Virtually all home-use 3D printers released to-date have their technical roots in the on-going RepRap Project and associated open-source software initiatives. "The RepRap's Heritage". In distributed manufacturing, one study has found3D printing could become a mass market product enabling consumers to save money associated with purchasing common household objects. The term 3D printing originally referred to a process employing standard and custom inkjet print heads. The technology used by most so-called 3D printers to date—especially hobbyist and consumer-oriented models—is fused deposition modeling, a special application of plastic extrusion. The term stereolithography was defined by Charles W. Hull as a "system for generating three-dimensional objects by creating a cross-sectional pattern of the object to be formed"—in a 1984 patent. AM processes for metal sintering or melting (such as SLS, DMLS, SLM, and EBM) usually went by their own individual names in the 1980s and 1990s. Nearly all metalworking production at the time was by casting, fabrication, stamping, and machining; even though plenty of automation was applied to those technologies (such as by robot welding and CNC), the paradigm of a tool or head moving through a 3D work envelope transforming a mass of raw material into a desired shape layer by layer was the sole domain of processes that removed metal (rather than adding it), such as CNC milling, CNC EDM, and many others. The umbrella term additive manufacturing gained wider currency in the decade of the 2000s as the various additive processes matured and it became clear that they would soon be displacing metal removal as the sole occupant of the aforementioned paradigm. It was during this decade that the term subtractive manufacturing appeared as a retronym for the large family of machining processes with metal removal as their common theme. However, at the time, the term 3D printing still referred only to the polymer technologies in most minds, and the term AM was likelier to be used in metalworking contexts than among polymer/inkjet/stereolithography enthusiasts. By the early 2010s, the terms 3D printing and additive manufacturing developed senses in which they were synonymous umbrella terms for all AM technologies. Although this was a departure from their earlier technically narrower senses, it reflects the simple fact that the technologies all share the common theme of sequential-layer material addition/joining throughout a 3D work envelope under automated control. (Other terms that have appeared, which are usually if not obligately used as AM synonyms, have been desktop manufacturing, rapid manufacturing and on-demand manufacturing . The 2010s were the first decade in which metal parts such as engine brackets and large nuts would be grown (either before or instead of machining) in job production rather than obligately being machined from bar stock or plate. And the term subtractive has not replaced the term machining, but merely sometimes complements it when people discussing manufacturing technologies at the most general levels of abstraction need a succinct hypernym that covers any removal method. 3D printable models may be created with a computer aided design package or via 3D scanner. The manual modelling process of preparing geometric data for 3D computer graphics is similar to plastic arts such as sculpting. 3D scanning is a process of analysing and collecting digital data on the shape and appearance of a real object. Based on this data, three-dimensional models of the scanned object can then be produced. To perform a print, the machine reads the design from 3D printable file (STL file) and lays down successive layers of liquid, powder, paper or sheet material to build the model from a series of cross sections. These layers, which correspond to the virtual cross sections from the CAD model, are joined or automatically fused to create the final shape. The primary advantage of this technique is its ability to create almost any shape or geometric feature. Printer resolution describes layer thickness and X-Y resolution in dpi (dots per inch), or micrometres. Typical layer thickness is around 100 µm (250 DPI), although some machines such as the Objet Connex series and 3D Systems' ProJet series can print layers as thin as 16 µm (1,600 DPI). X-Y resolution is comparable to that of laser printers. The particles (3D dots) are around 50 to 100 µm (510 to 250 DPI) in diameter. Some additive manufacturing techniques are capable of using multiple materials in the course of constructing parts. Some are able to print in multiple colours and color combinations simultaneously. Some also utilise supports when building. Supports are removable or dissolvable upon completion of the print, and are used to support overhanging features during construction. A large number of additive processes are now available. They differ in the way layers are deposited to create parts and in the materials that can be used. Some methods melt or soften material to produce the layers, e.g. selective laser melting (SLM) or direct metal laser sintering (DMLS), selective laser sintering (SLS), fused deposition modelling (FDM), while others cure liquid materials using different sophisticated technologies, e.g. stereolithography (SLA). With laminated object manufacturing (LOM), thin layers are cut to shape and joined together (e.g. paper, polymer, metal). Each method has its own advantages and drawbacks, and some companies consequently offer a choice between powder and polymer for the material from which the object is built. Some companies use standard, off-the-shelf business paper as the build material to produce a durable prototype. The main considerations in choosing a machine are generally speed, cost of the 3D printer, cost of the printed prototype, and cost and choice of materials and color capabilities. Fused deposition modelling (FDM) was developed by S. Scott Crump in the late 1980s and was commercialised in 1990 by Stratasys. With the expiration of the patent on this technology there is now a large open-source development community, as well as commercial and DIY variants, which utilise this type of 3D printer. This has led to a two orders of magnitude price drop since this technology's creation. In fused deposition modelling the model or part is produced by extruding small beads of material which harden immediately to form layers. A thermoplastic filament or metal wire that is wound on a coil is unreeled to supply material to an extrusion nozzle head. The nozzle head heats the material and turns the flow on and off. Typically stepper motors or servo motors are employed to move the extrusion head and adjust the flow and the head can be moved in both horizontal and vertical directions. Control of this mechanism is typically done by a computer-aided manufacturing (CAM) software package running on a microcontroller. Selective Laser Sintering (SLS) was developed and patented by Dr. Carl Deckard and Dr. Joseph Beaman at the University of Texas at Austin in the mid-1980s, under sponsorship of DARPA. A similar process was patented without being commercialised by R. F. Housholder in 1979. Stereolithography was patented in 1986 by Chuck Hull.Photopolymerization is primarily used in stereolithography (SLA) to produce a solid part from a liquid. This process dramatically redefined previous efforts, from the Photosculpture method of François Willème (1830–1905) in 1860 through the photopolymerisation of Mitsubishi`s Matsubara in 1974. In photopolymerisation, a vat of liquid polymer is exposed to controlled lighting under safelight conditions. The exposed liquid polymer hardens. The build plate then moves down in small increments and the liquid polymer is again exposed to light. The process repeats until the model has been built. The liquid polymer is then drained from the vat, leaving the solid model. The EnvisionTEC Perfactory is an example of a DLP rapid prototyping system. Ultra-small features can be made with the 3D microfabrication technique used in multiphoton photopolymerisation. This approach traces the desired 3D object in a block of gel using a focused laser. Due to the nonlinear nature of photoexcitation, the gel is cured to a solid only in the places where the laser was focused and the remaining gel is then washed away. Feature sizes of under 100 nm are easily produced, as well as complex structures with moving and interlocked parts. In this technique a 3D digital model is sliced by a set of horizontal planes. Each slice is converted into a two-dimensional mask image. The mask image is then projected onto a photocurable liquid resin surface and light is projected onto the resin to cure it in the shape of the layer. In research systems, the light is projected from below, allowing the resin to be quickly spread into uniform thin layers, reducing production time from hours to minutes. The technique has been used to create objects composed of multiple materials that cure at different rates. Commercially available devices such as Objet Connex apply the resin via small nozzles. As of October 2012, Stratasys, the result of a merger of an American and an Israeli company, now sells additive manufacturing systems that range from $2,000 to $500,000; General Electric uses the high-end model to build parts for turbines. RepRap is one of the longest running projects in the desktop category. The RepRap project aims to produce a free and open source hardware (FOSH) 3D printer, whose full specifications are released under the GNU General Public License, and which is capable of replicating itself by printing many of its own (plastic) parts to create more machines. RepRaps have already been shown to be able to print circuit boards and metal parts. Because of the FOSH aims of RepRap, many related projects have used their design for inspiration, creating an ecosystem of related or derivative 3D printers, most of which are also open source designs. The availability of these open source designs means that variants of 3D printers are easy to invent. The quality and complexity of printer designs, however, as well as the quality of kit or finished products, varies greatly from project to project. This rapid development of open source 3D printers is gaining interest in many spheres as it enables hyper-customization and the use of public domain designs to fabricate open source appropriate technology through conduits such as Thingiverse and Cubify. This technology can also assist initiatives in sustainable development since technologies are easily and economically made from resources available to local communities. The cost of 3D printers has decreased dramatically since about 2010, with machines that used to cost $20,000 now costing less than $1,000. For instance, as of 2013, several companies and individuals are selling parts to build various RepRap designs, with prices starting at about €400 / US$500. The open source Fab@Home project has developed printers for general use with anything that can be squirted through a nozzle, from chocolate to silicone sealant and chemical reactants. Printers following the project's designs have been available from suppliers in kits or in pre-assembled form since 2012 at prices in the US$2000 range. The Kickstarter funded Peachy Printer is designed to cost $100 and several other new 3D printers are aimed at the small, inexpensive market including the mUVe3D and Lumifold. Rapide 3D has designed a professional grade crowdsourced 3D-printer costing $1499 which has no fumes nor constant rattle during use. The 3Doodler, "3D printing pen", raised $2.3 million on Kickstarter with the pens selling at $99, though the 3D Doodler has been criticised for being more of a crafting pen than a 3D printer. In addition, several RecycleBots such as the commercialised Filastrucer have been designed and fabricated to convert waste plastic, such as shampoo containers and milk jugs, into inexpensive RepRap filament. There is some evidence that using this approach of distributed recycling is better for the environment. The development and hyper-customization of the RepRap-based 3D printers has produced a new category of printers suitable for small business and consumer use. Manufacturers such as Solidoodle, RoBo, and RepRapPro have introduced models and kits priced at less than $1,000, thousands less than they were in September 2012. Depending on the application, the print resolution and speed of manufacturing lies somewhere between a personal printer and an industrial printer. A list of printers with pricing and other information is maintained. Most recently delta robots, like the TripodMaker, have been utilised for 3D printing to increase fabrication speed further. For delta 3D printers, due to its geometry and differentiation movements, the accuracy of the print depends on the position of the printer head. Additive manufacturing's earliest applications have been on the toolroom end of the manufacturing spectrum. For example, rapid prototyping was one of the earliest additive variants, and its mission was to reduce the lead time and cost of developing prototypes of new parts and devices, which was earlier only done with subtractive toolroom methods (typically slowly and expensively). With technological advances in additive manufacturing, however, and the dissemination of those advances into the business world, additive methods are moving ever further into the production end of manufacturing in creative and sometimes unexpected ways. Parts that were formerly the sole province of subtractive methods can now in some cases be made more profitably via additive ones. Standard applications include design visualisation, prototyping/CAD, metal casting, architecture, education, geospatial, healthcare, and entertainment/retail. Companies have created services where consumers can customise objects using simplified web based customisation software, and order the resulting items as 3D printed unique objects. This now allows consumers to create custom cases for their mobile phones. Nokia has released the 3D designs for its case so that owners can customise their own case and have it 3D printed. The current slow print speed of 3D printers limits their use for mass production. To reduce this overhead, several fused filament machines now offer multiple extruder heads. These can be used to print in multiple colours, with different polymers, or to make multiple prints simultaneously. This increases their overall print speed during multiple instance production, while requiring less capital cost than duplicate machines since they can share a single controller. Distinct from the use of multiple machines, multi-material machines are restricted to making identical copies of the same part, but can offer multi-color and multi-material features when needed. The print speed increases proportionately to the number of heads. Furthermore, the energy cost is reduced due to the fact that they share the same heated print volume. Together, these two features reduce overhead costs. Many printers now offer twin print heads. However, these are used to manufacture single (sets of) parts in multiple colours/materials. The SuperDraco engine that provides launch escape system and propulsive-landing thrust for the Dragon V2 passenger-carrying space capsule is fully printed, and is the first fully printed rocket engine. In particular, the engine combustion chamber is printed of Inconel, an alloy of nickel and iron, using a process of direct metal laser sintering, and operate at a chamber pressure 6,900 kilopascals (1,000 psi) at a very high temperature. The engines are contained in a printed protective nacelle to prevent fault propagation in the event of an engine failure. The engine completed a full qualification test in May 2014, and is slated to make its first orbital spaceflight in 2015 or 2016. The ability to 3D print the complex parts was key to achieving the low-mass objective of the engine. It’s a very complex engine, and it was very difficult to form all the cooling channels, the injector head, and the throttling mechanism. ... "to print very high strength advanced alloys ... was crucial to being able to create the SuperDraco engine." As of 2012, domestic 3D printing had mainly captivated hobbyists and enthusiasts and had not quite gained recognition for practical household applications. A working clock was made and gears were printed for home woodworking machines among other purposes. 3D printing was also used for ornamental objects. Web sites associated with home 3D printing tended to include backscratchers, coathooks, doorknobs etc. As of 2013, 3D printers were used to help animals. A 3D printed foot let a crippled duckling walk again. 3D printed hermit crab shells let hermit crabs inhabit a new style home. Printers at this time also made decorative pieces for humans such as necklaces, rings, bags etc. As of 2014, 3D printers have been used to help children receive cost-effective prosthetic, in home use as well as in developing countries. In addition, 3D printing also created a skull implant for an adult human patient that was accepted by the patient. In addition, 3D printing has been used to produce fashion garments, as well as footwear. The OpenReflex analogue SLR camera was developed for 3D printing as an open source student project. 3D printing has come to the point where companies are printing consumer grade eyewear with on demand custom fit and styling (although they cannot print the lenses). The on demand customization market for glasses is something that has been deemed possible with rapid prototyping. As of 2012, 3D bio-printing technology has been studied by biotechnology firms and academia for possible use in tissue engineering applications in which organs and body parts are built using inkjet techniques. In this process, layers of living cells are deposited onto a gel medium or sugar matrix and slowly built up to form three-dimensional structures including vascular systems. The first production system for 3D tissue printing was delivered in 2009, based on NovoGen bioprinting technology. Several terms have been used to refer to this field of research: organ printing, bio-printing, body part printing, and computer-aided tissue engineering, among others. An early-stage medical laboratory and research company, called Organovo, designs and develops functional, three dimensional human tissue for medical research and therapeutic applications. The company utilises its NovoGen MMX Bioprinter for 3D bioprinting. Organovo anticipates that the bioprinting of human tissues will accelerate the preclinical drug testing and discovery process, enabling treatments to be created more quickly and at lower cost. Additionally, Organovo has long-term expectations that this technology could be suitable for surgical therapy and transplantation. In 2014, researchers successfully implanted a 3D printed skull component into a patient, without any adverse effects. This new finding gives the opportunity for new implants to be custom tailored to the patient, in many different applications. This allows for new greater innovation when it comes to 3D printed implants. 3D printing has been used to print patient specific implant and device for medical use. Successful operations include a titanium pelvis implanted into a British patient, titanium lower jaw transplanted to a Dutch patient, and a plastic tracheal splint for an American infant. The hearing aid and dental industries are expected to be the biggest area of future development using the custom 3D printing technology. In March 2014, surgeons in Swansea used 3D printed parts to rebuild the face of a motorcyclist who had been seriously injured in a road accident. Some companies offer on-line 3D printing services open to both consumers and industries. Such services require people to upload their 3D designs to the company website. Designs are then 3D printed using industrial 3D printers and either shipped to the customer or in some cases, the consumer can pick the object up at the store. This allows for increased social interactions between members of the 3D printing community. Future applications for 3D printing might include creating open-source scientific equipment to create open source labs or other science-based applications like reconstructing fossils in palaeontology, replicating ancient and priceless artefacts in archaeology, reconstructing bones and body parts in forensic pathology, and reconstructing heavily damaged evidence acquired from crime scene investigations. The technology is also currently being researched for building construction. A proof-of-principle project at the University of Glasgow, UK, in 2012 showed that it is possible to use 3D printing techniques to create chemical compounds, including new ones. They first printed chemical reaction vessels, then used the printer to squirt reactants into them as "chemical inks" which would then react. They have produced new compounds to verify the validity of the process, but have not pursued anything with a particular application. Cornell Creative Machines Lab has confirmed that it is possible to produce customised food with 3D Hydrocolloid Printing. Professor Leroy Cronin of Glasgow University proposed, in a TED Talk that it should one day be possible to use chemical inks to print medicine. 3D food printer is currently being develop by squeezing out food, layer by layer, for food such as chocolate, candy, and pasta. The use of 3D scanning technologies allows the replication of real objects without the use of moulding techniques that in many cases can be more expensive, more difficult, or too invasive to be performed, particularly for precious or delicate cultural heritage artefacts where direct contact with the moulding substances could harm the original object's surface. An additional use being developed is building printing, or using 3D printing to build buildings. This could allow faster construction for lower costs, and has been investigated for construction of off-Earth habitats. For example, the Sinterhab project is researching a lunar base constructed by 3D printing using lunar regolith as a base material. Instead of adding a binding agent to the regolith, researchers are experimenting with microwave sintering to create solid blocks from the raw material. Employing additive layer technology offered by 3D printing, Terahertz devices which act as waveguides, couplers and bends have been created. The complex shape of these devices could not be achieved using conventional fabrication techniques. Commercially available professional grade printer EDEN 260V was used to create structures with minimum feature size of 100 µm. The printed structures were later DC sputter coated with gold (or any other metal) to create a Terahertz Plasmonic Device. China has committed almost $500 million towards the establishment of 10 national 3-D printing development institutes. In 2013, Chinese scientists began printing ears, livers and kidneys, with living tissue. Researchers in China have been able to successfully print human organs using specialised 3D bio printers that use living cells instead of plastic. Researchers at Hangzhou Dianzi University actually went as far as inventing their own 3D printer for the complex task, dubbed the “Regenovo” which is a "3D bio printer." Xu Mingen, Regenovo's developer, said that it takes the printer under an hour to produce either a mini liver sample or a four to five inch ear cartilage sample. Xu also predicted that fully functional printed organs may be possible within the next ten to twenty years. In the same year, researchers at the University of Hasselt, in Belgium had successfully printed a new jawbone for an 83-year-old Belgian woman. The woman is now able to chew, speak and breathe normally again after a machine printed her a new jawbone. In Bahrain, large-scale 3D printing using a sandstone-like material has been used to create unique coral-shaped structures, which encourage coral polyps to colonise and regenerate damaged reefs. These structures have a much more natural shape than other structures used to create artificial reefs, and have a neutral pH which concrete does not. Some of the recent developments in 3D printing were revealed at the 3DPrintshow in London, which took place in November 2013 and 2014. The art section had in exposition artworks made with 3D printed plastic and metal. Several artists such as Joshua Harker, Davide Prete, Sophie Kahn, Helena Lukasova, Foteini Setaki showed how 3D printing can modify aesthetic and art processes. One part of the show focused on ways in which 3D printing can advance the medical field. The underlying theme of these advances was that these printers can be used to create parts that are printed with specifications to meet each individual. This makes the process safer and more efficient. One of these advances is the use of 3D printers to produce casts that are created to mimic the bones that they are supporting. These custom-fitted casts are open, which allow the wearer to scratch any itches and also wash the damaged area. Being open also allows for open ventilation. One of the best features is that they can be recycled to create more casts. In December 2013, BAE Systems fitted and successfully test flew a Panavia Tornado with parts made by 3D printing. 3D printing is the latest technology making inroads into the classroom 3D printing allows students to create prototypes of items without the use of expensive tooling required in subtractive methods. Students design and produce actual models they can hold. The classroom environment allows students to learn and employ new applications for 3D printing. Students discover the capabilities with 3D printing. Engineering and design principles are explored as well as architectural planning. Students recreate duplicates of museum items such as fossils and historical artefacts for study in the classroom without possibly damaging sensitive collections. Other students interested in graphic designing can construct models with complex working parts. 3D printing gives students a new perspective with topographic maps. Science students can study cross-sections of internal organs of the human body and other biological specimens. And chemistry students can explore 3D models of molecules and the relationship within chemical compounds. 3D printing has existed for decades within certain manufacturing industries and many legal regimes, including patents, industrial design rights, copyright, and trademark can apply. However, there is not much jurisprudence to say how these laws will apply if 3D printers become mainstream and individuals and hobbyist communities begin manufacturing items for personal use, for non-profit distribution, or for sale. Patents cover processes, machines, manufactures, and compositions of matter and have a finite duration which varies between countries. Therefore, if a type of wheel is patented, printing, using, or selling such a wheel could be an infringement of the patent. Additive manufacturing, starting with today's infancy period, requires manufacturing firms to be flexible, ever-improving users of all available technologies to remain competitive. Advocates of additive manufacturing also predict that this arc of technological development will counter globalisation, as end users will do much of their own manufacturing rather than engage in trade to buy products from other people and corporations. The real integration of the newer additive technologies into commercial production, however, is more a matter of complementing traditional subtractive methods rather than displacing them entirely. Since the 1950s, a number of writers and social commentators have speculated in some depth about the social and cultural changes that might result from the advent of commercially-affordable additive manufacturing technology. Amongst the more notable ideas to have emerged from these inquiries has been the suggestion that, as more and more 3D printers start to enter people's homes, so the conventional relationship between the home and the workplace might get further eroded. Likewise, it has also been suggested that, as it becomes easier for businesses to transmit designs for new objects around the globe, so the need for high-speed freight services might also become less. Finally, given the ease with which certain objects can now be replicated, it remains to be seen whether changes will be made to current copyright legislation so as to protect intellectual property rights with the new technology widely available. As 3D printers became more accessible to consumers, online social platforms have developed to support the community. This includes websites that allow users to access information such as how to build a 3D printer, as well as social forums that discuss how to improve 3D print quality and discuss 3D printing news, as well as social media websites that are dedicated to share 3D models. RepRap is a wiki based website that was created to hold all information on 3d printing, and has developed into a community that aims to bring 3D printing to everyone. Furthermore, there are other sites such as Thingiverse, which was created initially to allow users to post 3D files for anyone to print, allowing for decreased transaction cost of sharing 3D files. These websites have allowed for greater social interaction between users, creating communities dedicated around 3D printing. Some call attention to the conjunction of Commons-based peer production with 3D printing and other low-cost manufacturing techniques. The self-reinforced fantasy of a system of eternal growth can be overcome with the development of economies of scope, and here, the civil society can play an important role contributing to the raising of the whole productive structure to a higher plateau of more sustainable and customised productivity. Further, it is true that many issues, problems and threats rise due to the large democratisation of the means of production, and especially regarding the physical ones. For instance, the recyclability of advanced nanomaterials is still questioned; weapons manufacturing could become easier; not to mention the implications on counterfeiting and on IP. It might be maintained that in contrast to the industrial paradigm whose competitive dynamics were about economies of scale, Commons-based peer production and 3D printing could develop economies of scope. While the advantages of scale rest on cheap global transportation, the economies of scope share infrastructure costs (intangible and tangible productive resources), taking advantage of the capabilities of the fabrication tools. And following Neil Gershenfeld in that “some of the least developed parts of the world need some of the most advanced technologies”, Commons-based peer production and 3D printing may offer the necessary tools for thinking globally but act locally in response to certain problems and needs. Larry Summers wrote about the "devastating consequences" of 3-D printing and other technologies (robots, artificial intelligence, etc.) for those who perform routine tasks. In his view, "already there are more American men on disability insurance than doing production work in manufacturing. And the trends are all in the wrong direction, particularly for the less skilled, as the capacity of capital embodying artificial intelligence to replace white-collar as well as blue-collar work will increase rapidly in the years ahead." Summers recommends more vigorous cooperative efforts to address the "myriad devices" (e.g. tax havens, bank secrecy, money laundering, and regulatory arbitrage) enabling the holders of great wealth to "avoid paying" income and estate taxes, and to make it more difficult to accumulate great fortunes without requiring "great social contributions" in return, including: more vigorous enforcement of anti-monopoly laws, reductions in "excessive" protection for intellectual property, greater encouragement of profit-sharing schemes that may benefit workers and give them a stake in wealth accumulation, strengthening of collective bargaining arrangements, improvements in corporate governance, strengthening of financial regulation to eliminate subsidies to financial activity, easing of land-use restrictions that may cause the real estate of the rich to keep rising in value, better training for young people and retraining for displaced workers, and increased public and private investment in infrastructure development, e.g. in energy production and transportation. Michael Spence wrote that "Now comes a ... powerful, wave of digital technology that is replacing labor in increasingly complex tasks. This process of labor substitution and disintermediation has been underway for some time in service sectors – think of ATMs, online banking, enterprise resource planning, customer relationship management, mobile payment systems, and much more. This revolution is spreading to the production of goods, where robots and 3D printing are displacing labor." In his view, the vast majority of the cost of digital technologies comes at the start, in the design of hardware (e.g. 3D printers) and, more important, in creating the software that enables machines to carry out various tasks. "Once this is achieved, the marginal cost of the hardware is relatively low (and declines as scale rises), and the marginal cost of replicating the software is essentially zero. With a huge potential global market to amortize the upfront fixed costs of design and testing, the incentives to invest in digital technologies are compelling." Spence believes that, unlike prior digital technologies, which drove firms to deploy underutilized pools of valuable labor around the world, the motivating force in the current wave of digital technologies "is cost reduction via the replacement of labor." For example, as the cost of 3D printing technology declines, it is "easy to imagine" that production may become "extremely" local and customized. Moreover, production may occur in response to actual demand, not anticipated or forecast demand. Spence believes that labor, no matter how inexpensive, will become a less important asset for growth and employment expansion, with labor-intensive, process-oriented manufacturing becoming less effective, and that re-localization will appear in both developed and developing countries. In his view, production will not disappear, but it will be less labor-intensive, and all countries will eventually need to rebuild their growth models around digital technologies and the human capital supporting their deployment and expansion. Spence writes that "the world we are entering is one in which the most powerful global flows will be ideas and digital capital, not goods, services, and traditional capital. Adapting to this will require shifts in mindsets, policies, investments (especially in human capital), and quite possibly models of employment and distribution." As early as 2010, work began on applications of 3D printing in zero or low gravity environments. The primary concept involves creating basic items such as hand tools or other more complicated devices "on demand" versus using valuable resources such as fuel or cargo space to carry the items into space. Additionally, NASA is conducting tests with company Made in Space to assess the potential of 3D printing to make space exploration cheaper and more efficient. Rocket parts built using this technology have passed NASA firing tests. In July 2013, two rocket engine injectors performed as well as traditionally constructed parts during hot-fire tests which exposed them to temperatures approaching 6,000 degrees Fahrenheit (3,316 degrees Celsius) and extreme pressures. NASA is also preparing to launch a 3D printer into space; the agency hopes to demonstrate that, with the printer making spare parts on the fly, astronauts need not carry large loads of spares with them. Additive manufacturing in combination with cloud computing technologies allows decentralized and geographically independent distributed production (Cloud Producing). Distributed manufacturing is mainly practiced by enterprises but also takes place in the homes of consumers via specialized cloud service provider. In 2012, the US-based group Defense Distributed disclosed plans to "design a working plastic gun that could be downloaded and reproduced by anybody with a 3D printer." Defense Distributed has also designed a 3D printable AR-15 type rifle lower receiver (capable of lasting more than 650 rounds) and a 30 round M16 magazine. The AR-15 has multiple receivers (both an upper and lower receiver), but the legally-controlled part is the one that is serialised (the lower, in the AR-15's case). Soon after Defense Distributed succeeded in designing the first working blueprint to produce a plastic gun with a 3D printer in May 2013, the United States Department of State demanded that they remove the instructions from their website. In early 2014, the Swedish supercar manufacturer, Koenigsegg, announced the One:1, a supercar that utilises many components that were 3D printed. In the limited run of vehicles Koenigsegg produces, the One:1 has side-mirror internals, air ducts, titanium exhaust components, and even complete turbocharger assembles that have been 3D printed as part of the manufacturing process. An American company, Local Motors is working with Oak Ridge National Laboratory and Cincinnati Incorporated to develop large scale additive manufacturing processes suitable for printing an entire car body. The company plans to print the vehicle live in front of an audience in September 2014 at the International Manufacturing Technology Show. "Produced from a new fiber-reinforced thermoplastic strong enough for use in an automotive application, the chassis and body without drivetrain, wheels and brakes weighs a scant 450 pounds and the completed car is comprised of just 40 components, a number that gets smaller with every revision." Consumer grade 3D printing has resulted in new materials that have been developed specifically for 3D printers. For example, filament materials have been developed to imitate wood, in its appearance as well as its texture. Furthermore, new technologies, such as infusing carbon fiber into printable plastics, allowing for a stronger, lighter material. In addition to new structural materials that have been developed due to 3D printing, new technologies have allowed for patterns to be applied directly to 3D printed parts.